And he will be! Arnie reprises his Terminator role again in the latest film of the Terminator series, “Terminator Genisys”, due for release July 2015. Arnie has starred in many action movies as well as having had a few, rather dubious, forays into comedy with “Twins” and “Kindergarten Cop”. He, also, of course, tried his hand at politics for a while. While I doubt that Arnie with ever grace the stage in a production of Shakespeare, there is no denying that he has been a force to be reckoned with for many years in the movie business. Here are ten things that you may not have known about the Terminator, Arnold Schwarzenegger. Schwarzenegger, star of “Terminator”, “Total recall” and many other action movies has always had a good head for business. Arnie and fellow bodybuilder, Franco Columbu, had a flourishing bricklaying business in 1968 and they used the profits from that business to set up a bodybuilding and fitness venture after that. Schwarzenegger was also one of the founders of Planet Hollywood. Former Mr Universe, Schwarzenegger , is also no simpleton! Once he has learned English at classes he took at Santa Monica College in California, he went to get a degree in international marketing and business administration at the University of Wisconsin–Superior in 1979. Schwarzenegger’s trademark accent was so thick in his first film, “Hercules in New York”, that the producers had to dub his lines before the film was released in 1969. In his second film The Long Goodbye (1973) Arnie played a deaf mute do, his accent was not a problem there. The “Die Hard” series of movies turned Bruce Willis from TV star to Movie mega star, but, did you know that the part of “John McClane” was originally offered to Arnold Schwarzenegger but, Arnie turned it down? Arnie’s decision to turn down the role didn’t do either star any harm at all. Arnold Schwarzenegger won the title of Mr Olympia a record breaking seven times. He won six consecutive titles in the years 1970 to 1975 and then he made a comeback appearance at the bodybuilding contest and won the Mr Olympia title again in 1980. Arnold’s line in “The Terminator” of “I’ll be back” was actually scripted as “I’ll come back”. Schwarzenegger changed the line, which he first used in “The Running Man”, when he said it in the Terminator movie and it has since become his trademark line. 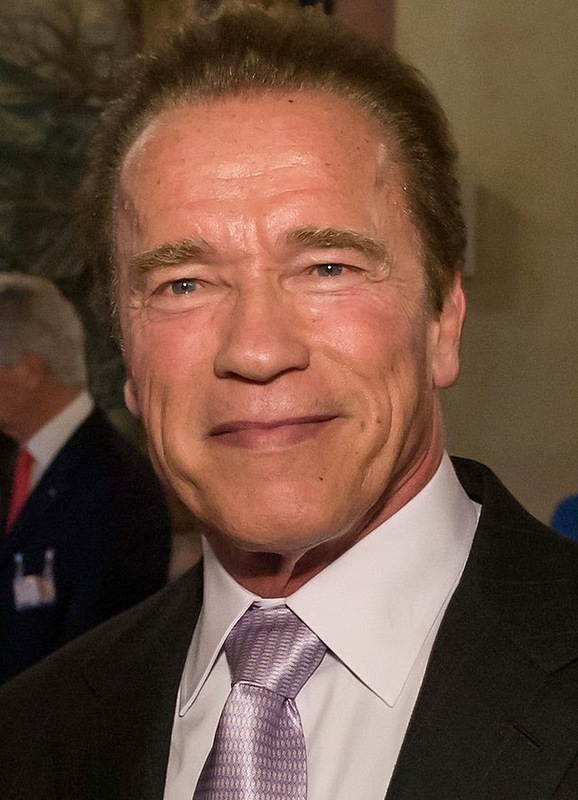 Following his huge run of success at the Mr Olympia body building competitions, Arnold Schwarzenegger was called ‘the most perfectly developed man in the history of the world’ by the Guinness Book of Records. Arnold Schwarzenegger served one year’s national service in the Austrian Army in 1965. During this period, he once went AWOL, so that he could compete in the Junior Mr Europe body building competition which he won. He then had to spend one week in military prison for the escapade. Arnold’s first attempt at the Mr Universe title was in 1966, in London, where he came second. He first won the title in 1967 having trained hard and he became the youngest ever to have won the body building title, at the age of 20. He saw Mr Universe as his ticket to fame and fortune in the US. Arnold Schwarzenegger has admitted to having used steroids, when they aware still legal, although he denies that he used them for muscle growth. Despite the rumours at the time, though, his heart problems stemmed from a condition that Schwarzenegger was born with, not his use of steroids.